Hello Tatertots and Jello Fans! Holly here from Ribbons & Glue sharing with you an easy Lighted Ribbon Garland tutorial that looks perfect hanging on any staircase or mantel. I’ve decorated my staircase with lighted greenery garland for as long as I can remember. This year, when I pulled out the the lighted garland, the lights were burned out. Since it was game over for the lighted garland, it was time for a garland change up! My Christmas decor tends to be on the rustic side so I knew I really wanted to create something with burlap. To make the lighted ribbon garland, I used white mini lights on white wire and tied 5 inch ribbon scraps around the wire. Between each light, I tied a piece of burlap ribbon along with three other ribbons. I won’t lie, this project takes A LOT of ribbon but looks great when finished. Basically, when you think you’ve cut enough ribbon, cut even more! Since the lights are extra long, I was able to drape the lights along the railing creating a pretty Christmas staircase. This Lighted Ribbon Christmas Garland is a simple garland idea that could customized for any season. 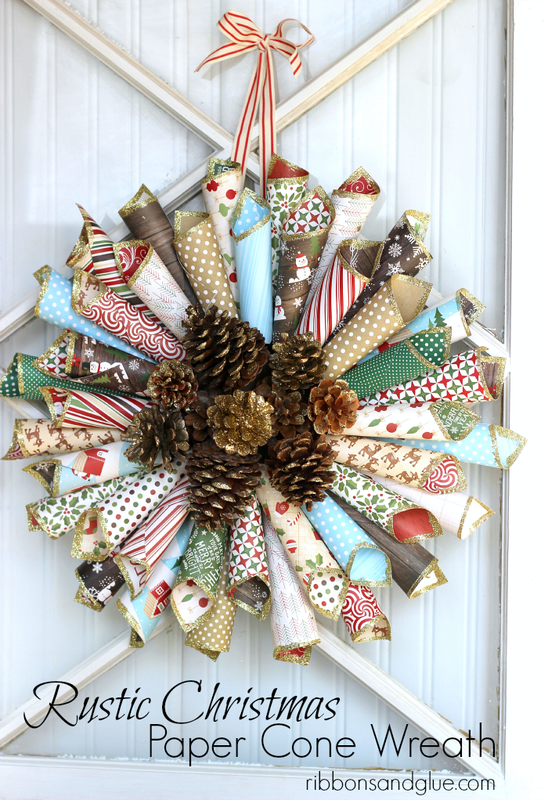 She has this gorgeous Rustic Christmas Paper Cone Wreath that I just love! 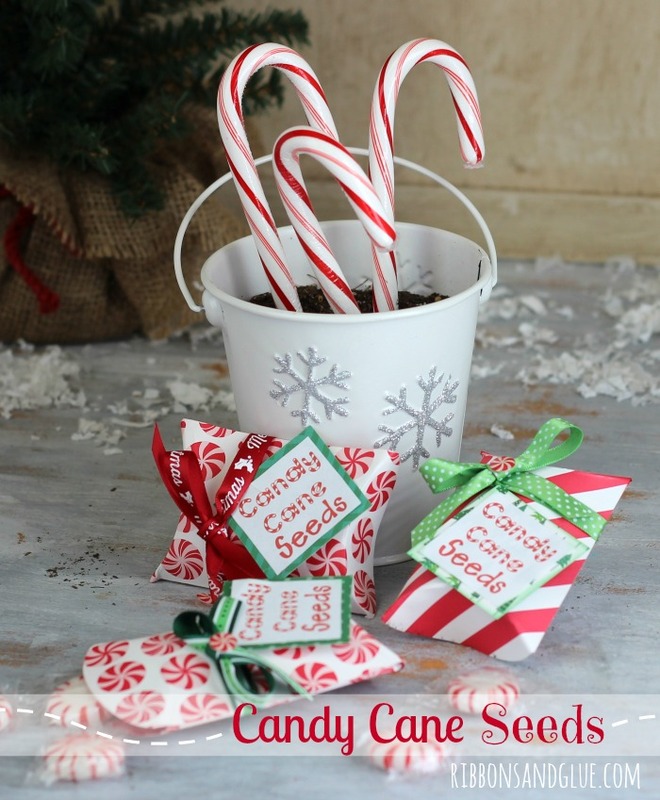 And, this idea for Candy Cane Seeds is so darling for little ones! 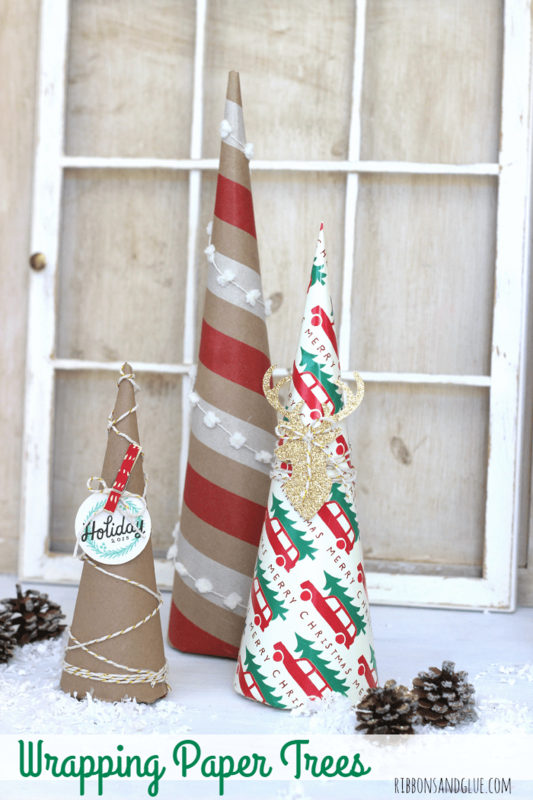 And, used your cute wrapping paper to make these adorable Wrapping Paper Trees! Large Burlap Clothespins using the Home+Made Line! !